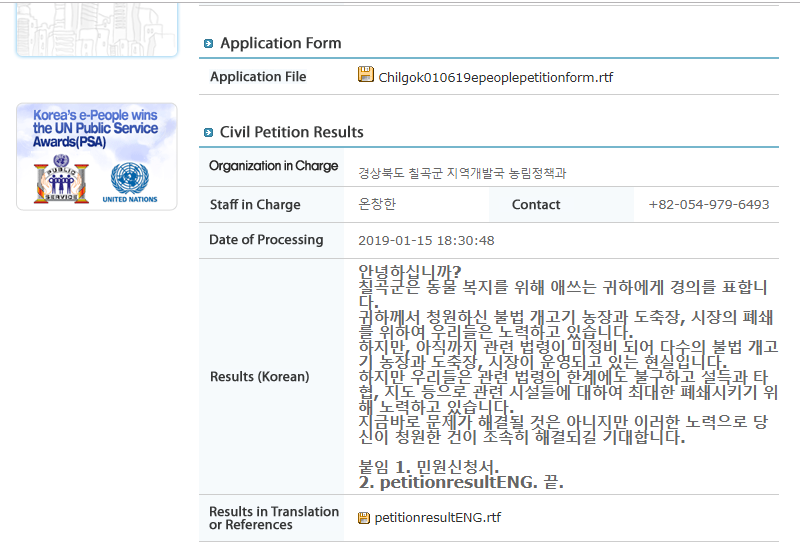 Below is Chilgok’s response to our petition: Chilgok, South Korea, Shut down the illegal dog meat farms, slaughterhouses and markets. 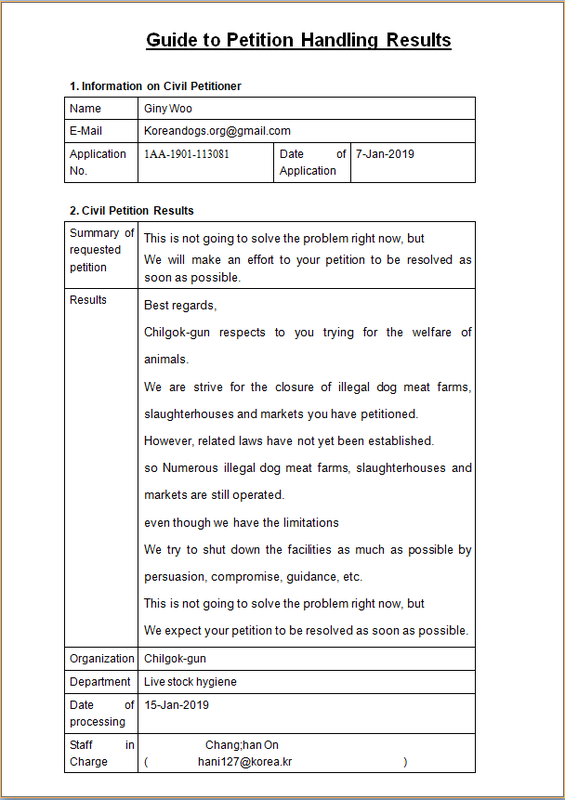 it fails to show what actions the Chilgok County is taking with regard to proposing amendments to existing legislation or bringing in new legislation to address and end the dog and cat meat trade. This is terrible, wrong, the list goes on! This people need to wise up and think, if I was that dog would I like this! 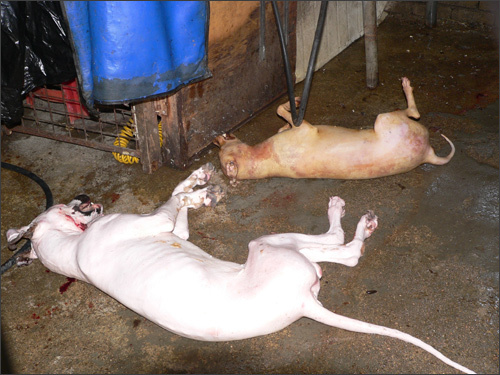 I sure hope those people that torture and hurt those poor creatures wake up and there a dog! One of them! Stop hurting. Them! It’s not enough, you need to do more, these people are just laughing in the face of the law and the law is allowing them to do so. Your all a joke!!! I notice ALL the responses are the exact same reply which is total BS!